The products shown below are a PARTIAL listing of the original Stitchin' Tree products available for wholesale purchase. 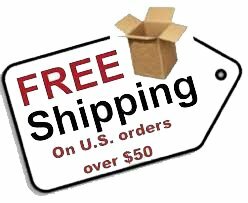 If you are a quilt retailer and would like to see ALL of the Stitchin' Tree products and resources, please go to our Wholesale SignUp page to register for a Wholesale Login ID. 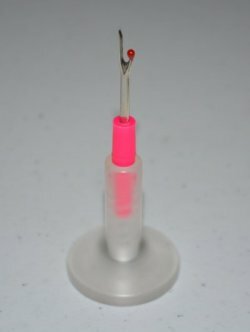 PinPalTM is a magnetic, wearable pin catcher. 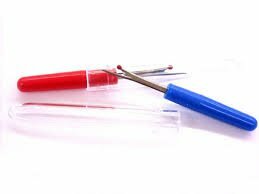 It is strong enough to hold pins, scissors, bobbins, Available in three styles and six colors. Hold a game night and play Trader's DiceR -- a fun trading game that EVERYONE wins! 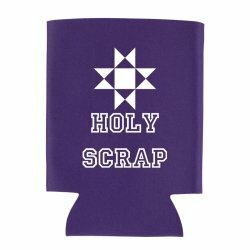 Holy Scrap Can Cooler is great for shop hops and bus groups! 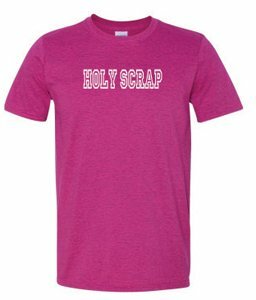 Holy Scrap Short Sleeve tee-shirts are available in three colors and six sizes. 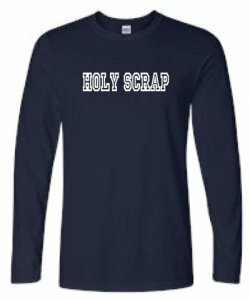 Holy Scrap Long Sleeve tee-shirts are available in three colors and six sizes. 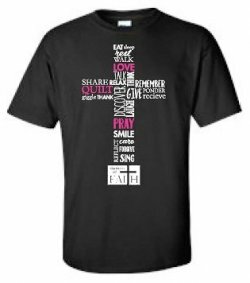 Love Quilt Pray Short Sleeve tee-shirts were introduced at Spring Quilt Market in Salt Lake City, May 2016. Available in four colors, six sizes. Three new colors were introduced at Spring Market, St. Louis May 2017. 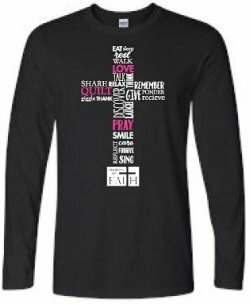 Love Quilt Pray Long Sleeve tee-shirts were introduced at Spring Quilt Market in Salt Lake City, May 2016. Available in two colors, six sizes. 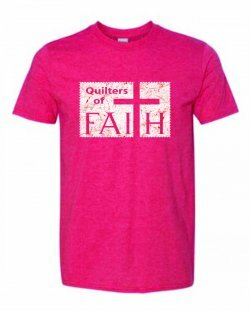 Quilters of Faith short sleeve tee-shirts were introduced at Spring Quilt Market in Saint Louis May 2017. Available in Heather Red. Bible Studies Reproducible Pattern Series. Quilt finishes in 3 sizes. 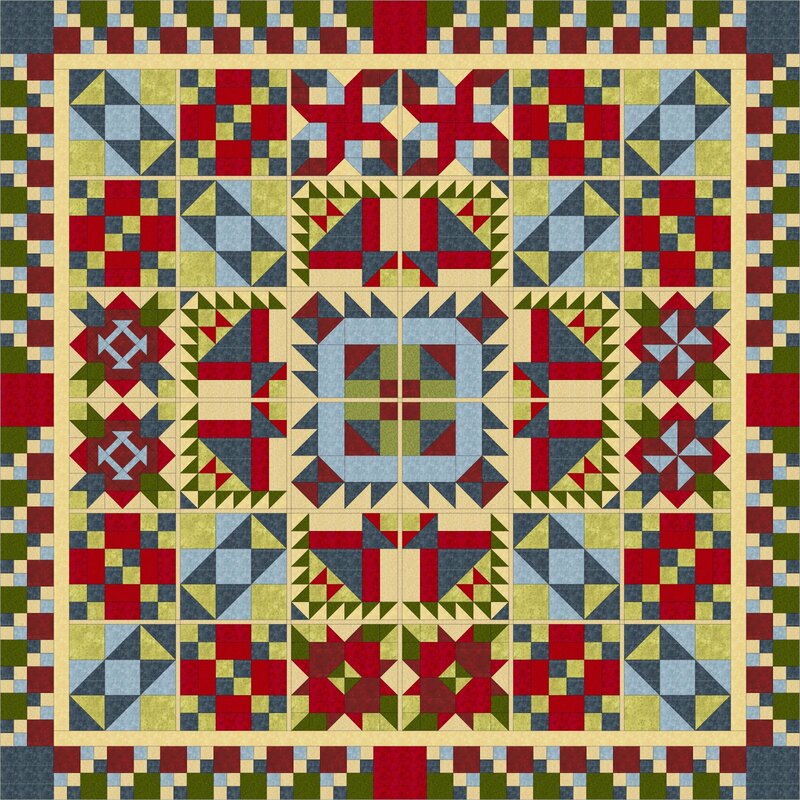 Includes (73) traditional pieced 6" blocks. Women of the Bible Reproducible Pattern Series. Quilt finishes 110"x125" or smaller. 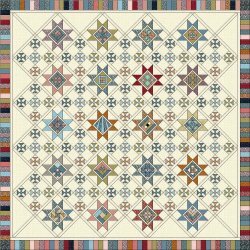 Includes (40) 10" and 15" traditional pieced blocks. Have A Little Faith Reproducible Pattern Series. Quilt finishes in 4 sizes. 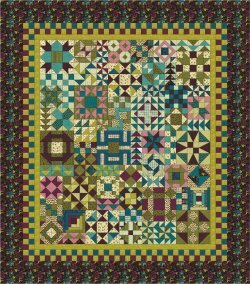 Includes (20) traditional pieced 6" blocks. Ten Commandments Reproducible Pattern Series. Quilt finishes in 2 sizes. 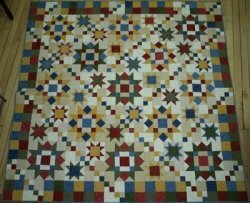 Includes (10) traditional pieced 10" blocks. Tankorations Reproducible Pattern Series. Tankorations are decorations for the toilet tank. 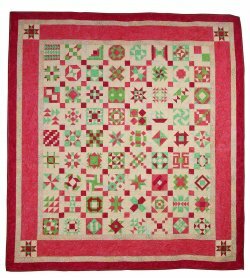 Includes (12) patterns in a variety of construction styles: traditional pieced, paper-pieced, applique, and quilt-as-you go. 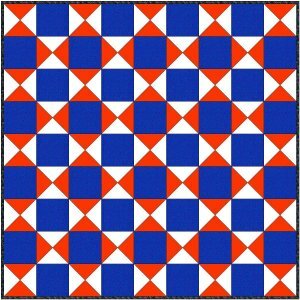 (Not So) True History of America Reproducible Pattern Series: a spoof of American history through the eyes of a quilter. 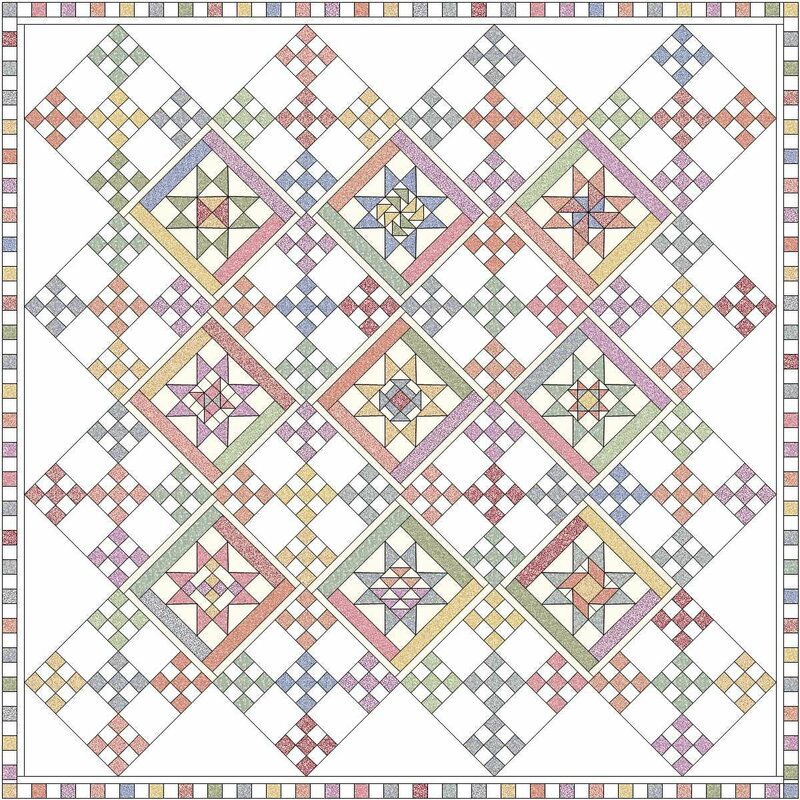 Includes (8) traditional pieced 8" blocks. Old Friends Reproducible Pattern Series. Quilt finishes 108" or queen size. 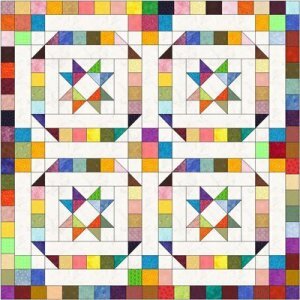 Includes (9) traditional pieced 18" blocks. Haunted Cottage Reproducible Pattern Series. Quilt finishes 62"x74". 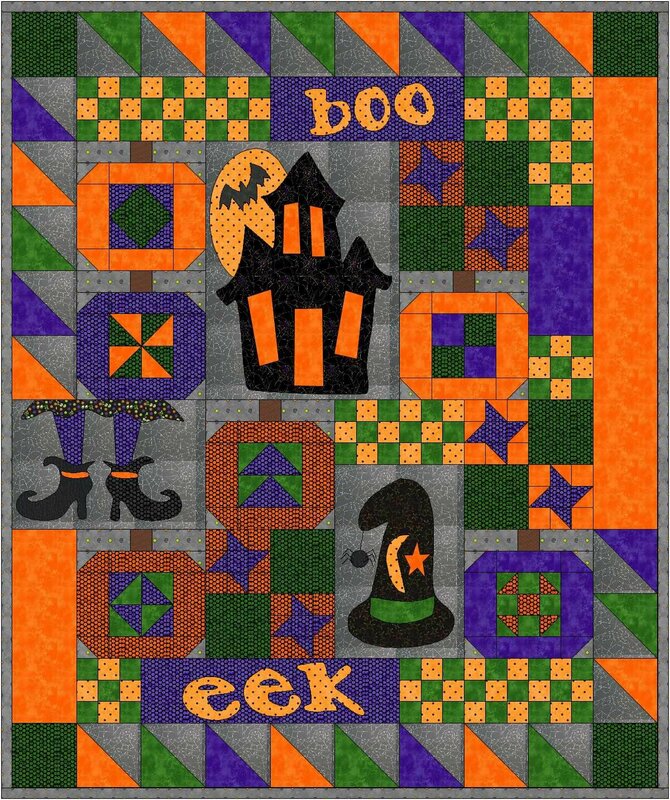 Includes (6) traditional pieced pumpkin blocks, (3) setting blocks, and (3) applique blocks. 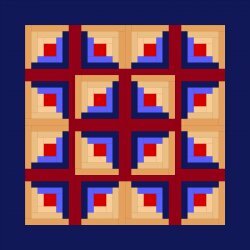 Can be used as a mystery, traditional BOM or individual pattern. Merry Hallowthanksmas Reproducible Pattern Series. 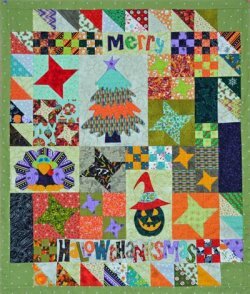 This 32"x38" wall hanging combines 3 holidays in one quilt. 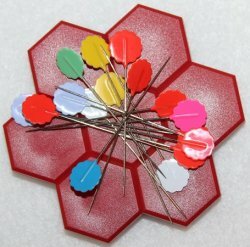 Can be used as a mystery, BOM or individual pattern. Christmas Parade Volume 1 Reproducible Pattern Series includes (18) different quick-and-easy project and quilt patterns. 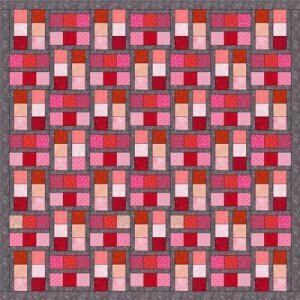 Game Night Volume 1 Reproducible Pattern Series was introduced at Spring Quilt Market in Salt Lake City, in May 2016. 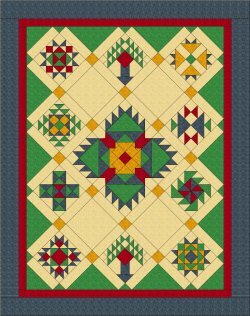 The series includes (12) individual quilt patterns that can be used with Trader's Dice game night. 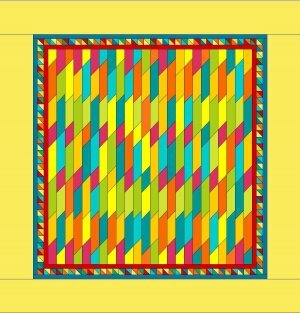 Each pattern includes pre-cuts that can easily be traded. Barns & Terraces uses 2-1/2" strips. Hugs & Kisses 39"x57" an be constructed from 5" squares. 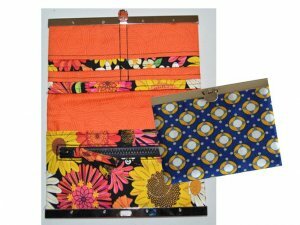 Clasp Wallet pattern includes 2 sizes. Twigs & Berries 69"x69" is constructed using 3-1/2" squares. Makes a great scrappy quilt. Wind Through the Windows 70"x84.5" can be constructed from a layer cake. 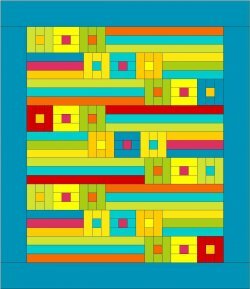 Line Dance 67"x78" is constructed with 6-1/2" squares. 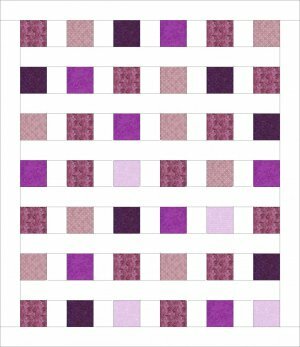 The pattern also includes instructions for a "strippy" version, featuring a jelly roll. Cozy Cabins 30"x30" uses 1-1/4" strips. Box Trot 64"x70" features 14 or more fabrics. Floaters 16"x40" is a great runner that features a focus fabric. Don't Fence Me In comes in 2 sizes 52x52 or 97x97. 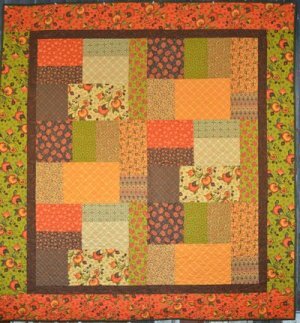 It makes a great scrappy quilt and uses 3" squares. Pop-Stars comes in 4 sizes and uses 2-1/2" squares. 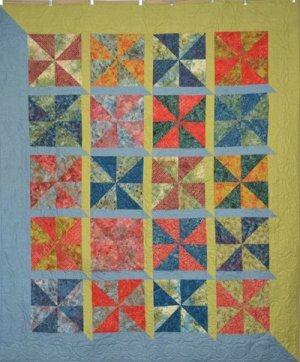 Jelly on the Fence 71"x74" uses one jelly roll and coordinating basics. 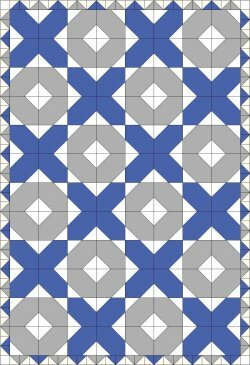 X Marks the Spot is a very easy quilt. Pattern includes 4 sizes.